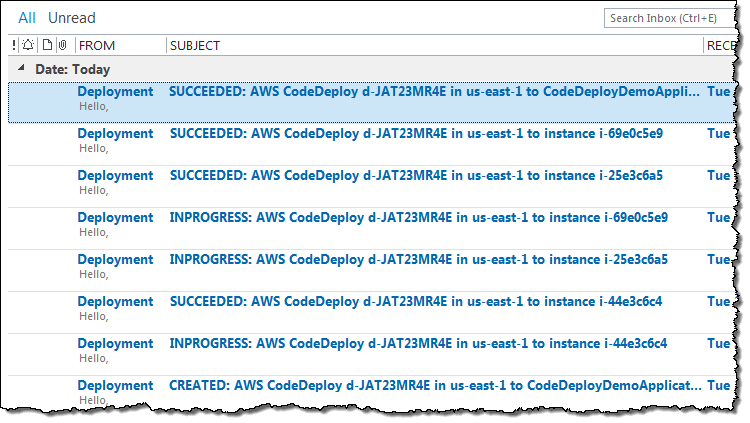 AWS CodeDeploy is a service that helps you to deploy your code to a fleet of EC2 or on-premises instances while taking care to leave as much of the fleet online as possible. 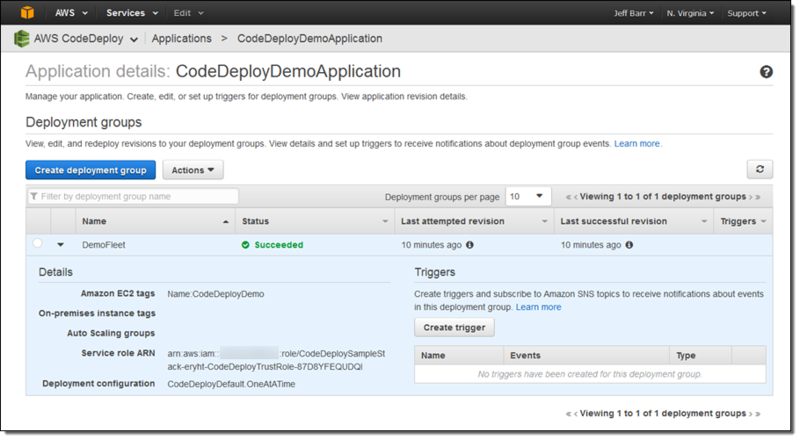 CodeDeploy was designed to work with fleets that range in size from a single instance all the way up to thousands of instances (see my post, New AWS Tools for Code Management and Deployment for more information). 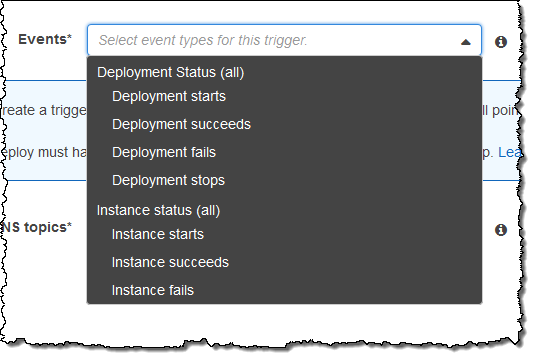 You can create up to 10 triggers per application. You can connect several triggers to a single topic, or you can send each trigger to a distinct topic. 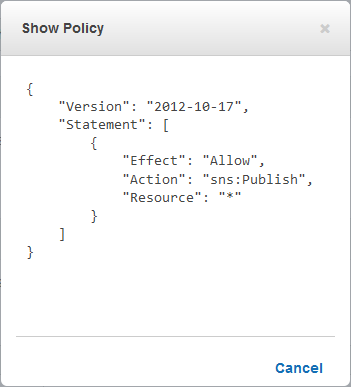 You can use any of the delivery protocols supported by SNS (http, https, email, SMS, and mobile push). You can also invoke a Lambda function. 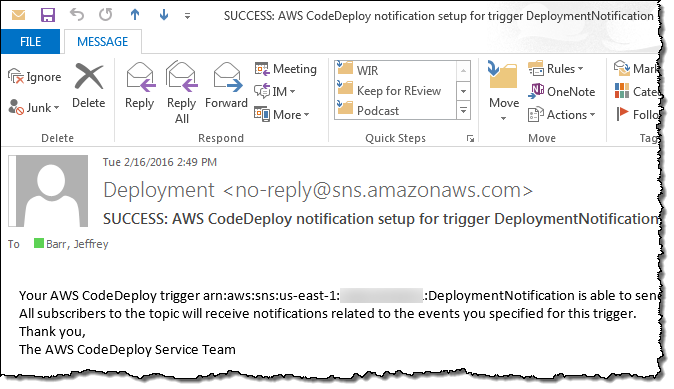 I used email for illustrative purposes; in a real-world application you would probably want to write some code to catch and handle the messages. 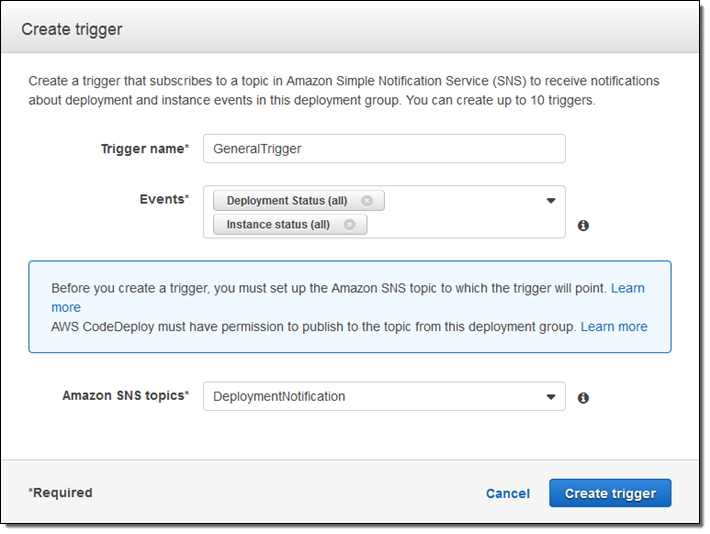 Triggers are available now and you can start using them today!